HRI is excited to announce a special event to celebrate Mental Health Week 2017, which runs from May 1 – 7. On Monday, May 1, HRI will host a one-night-only showing of Shelley Marshall’s one-woman play, Hold Mommy’s Cigarette, a performance that has gained national attention and earned multiple awards, including the Gold award for Best Theatre Production (View Magazine) and Best New Discovery (Now Magazine). 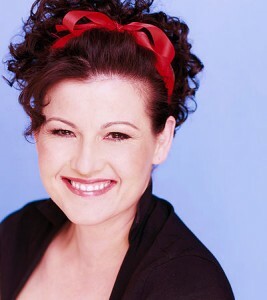 Shelley Marshall has inspired thousands of people as a public speaker, actor, comedienne, writer and producer. Hold Mommy’s Cigarette is an autobiographical play detailing her own personal struggle with mental illness, the suicide of her father, her own suicide attempt, and her remarkable journey out of the darkness of depression and into a life of purpose, happiness and success. Shelley’s performance is an honest and unbridled story that brings awareness to mental illness and inspires dialogue about stigma and the importance of finding real solutions to mental health issues. The May 1, 2017 performance will be held at Guelph’s beautiful downtown venue, River Run Centre, and will raise funds for the Shelley Marshall Scholarship, a fund named in honour of Shelley’s important work and established to support a graduate student committed to finding solutions that improve care for mental illness through applied research. Please save the date for this very special evening with Shelley Marshall and watch for further details in the new year. This entry was posted on November 12, 2016 by Heather Froome.